200811 Red cherry wood quartz skeleton mantel clock. 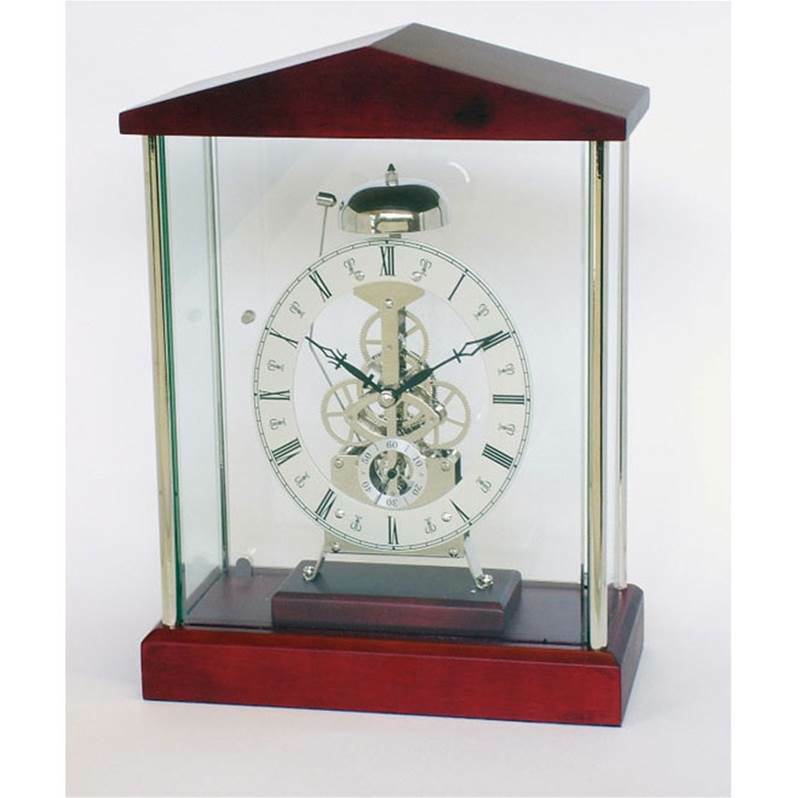 A modern skeleton clock finished in American reddish mahogany colour, with polished chrome plated columns. The polished chrome plated quartz movement features a passing strike single bell and dial with separate second hand. The movement is mounted on a plinth within the all glass case. The movement requires 1x AA battery (supplied), which is accessed through the opening rear door. This clock is boxed and fully guaranteed for 1 year from date of purchase. see more Distinctly British mantel clocks.